Who on here has a cool tattoo? 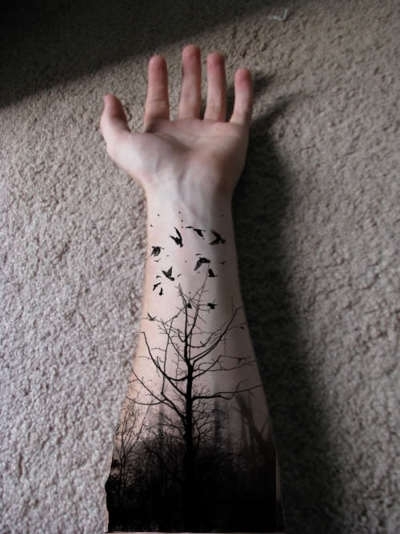 I am thinking about getting one and I think tattoos look awesome! I have an upside down weekly schedule on my belly, so I can always see what my plans are. On my left arm, I have a ruler, it is very practical. On the right, a subway map. On my left leg, I have some jokes to impress women with. On the right, quotes for the same purpose. Like, I have the schedule, and I fill it in with a non-permanent marker. this was back in 2011 when I first got it. @JackKerouac77 it means it was pretty so I wanted it. I'm not one of those people who believes every single tattoo has to have a meaning. Is this outfit okay for a date to a pub in the country side? What is the maximum level of muscle size and definition you would be fine with on women? Thoughts on geometric jewelry? Girls, Ladies, thoughts on this type of male underwear? Is this a bad hairstyle? I think it looks cool but I don't particularly like it. He likes trees. A lot. Clearly. well i will give you some advice. get a tattoo ONLY if the tattoo reflects sth about your personality/character. don't do it for looks and BS like that. What if it looks awesome tho? Make sure it is something timeless. Don't listen to the retards who don't appreciate art or expression! 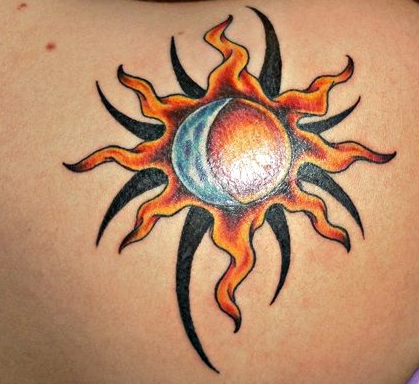 I'm thinking about getting a tattoo of flames that go from my shoulder to my elbows. I would say don't listen to retards in general. My brother has a huge cross on his back. It's really cool. But he's a wimp and 3 years later he's still getting it finished. Hey, at least he GOT the tattoo! i want to get one soon to honour my parents..
but then people who like tattoos are evil... as many here think lolololol.. I have two. Right shoulder the symbol of the 2nd Parachute Infantry Battalion where I served and left sleeve the Mandalorian symbol. I know, I really want tattos. I want one that goes from my shoulders to my elbows and is flames. It's... nothing to be sad about O_o. Hey I love tattoos! Problem is I'm scared of the needle lol. I don't have any. I could never decide! I have a QR/Barcode on the back of my neck. Every woman over 17 in my family has one. We got it in our 17 birthday; it means we are no longer under our parents, they no longer have the authority, and everything we do or decide will be our own. That's a REALLY official way to do it. I'm not a fan of tattoos but I do have one of my daughter's name on my back. Well that's something. That counts. I love a good oxymoron, keep going! I now see my mistake but it is too lte to change it. Why be insecure? Not everyone can “love themself” A Celebration of Hair This is How Beauty Standards Differ Around the World What It's Really Like to Be an "Ugly Woman"
Home > Fashion & Beauty > Who on here has a cool tattoo?